Supreme Court Collegium meets today to finalize the names for the elevation of Judges to the Apex Court, Daily mail reports. 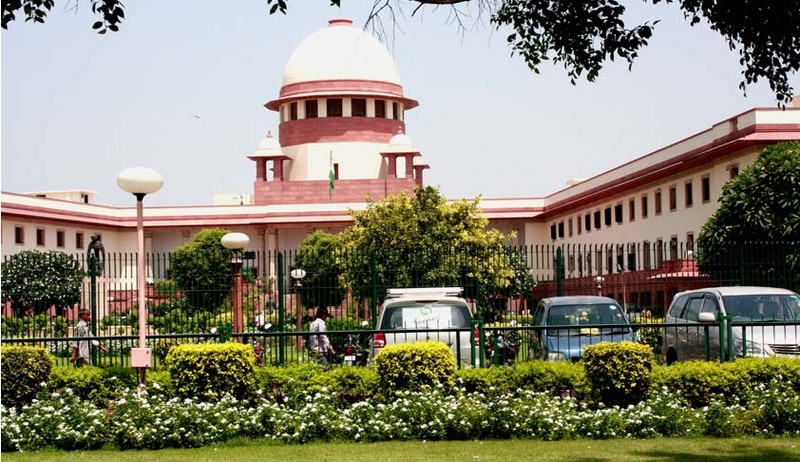 According to the report the top body will consider the names of Justices A M Sapre, K J Sengupta, D H Waghela, R Banumathi and A K Goel, who are the Chief Justices of Manipur, Andhra Pradesh, Karnataka, Jharkhand and Gauhati respectively, for the post. At present there are two vacancies in the top Court as CJI Sathasivam and Justice Gyan Sudha Misra retired on 26.4.2014. There will be another three vacancies as Justice Radhakrishnan will retire on 14.5.2014, Justice Patnaik on 2.6.2014 Justice B.S.Chouhan on 1.7.2014. This is the first meeting of Collegium after Justice Lodha took charge as the Chief Justice of India. Collegium consists of five senior most Judges of the Supreme Court of India Five senior most judges as on today are , Chief Justice R M Lodha, Justices HL Dattu, BS Chauhan, JusticeA K Patnaik and Justice TS Thakur. It was in the second Judges Case, [Supreme Court Advocates-on Record Association vs Union of India] the Collegium system of appointment of Judges was introduced in India. As per the said Second Judges case “The opinion given by the Chief justice of India in the consultative process has to be formed taking into account the views of the two senior most Judges of the Supreme Court.” and the opinion of the Chief Justice of India, for the purposes of Articles 124 (2) and 217(1), has primacy. In case of appointment of a Supreme Court Judge the proposal is to be initiated by the Chief Justice of India and in the case of a High Court Judge by the Chief Justice of that High Court. In Re Presidential Reference case, known as the Third Judges case again a 9 judges bench elaborated and clarified the Second judges case. It was held that the opinion of the Chief justice of India has to be formed on the basis of consultation with the collegium, comprising of him and the four senior most Supreme Court judges and the opinion of all members of the collegiums in respect of each recommendation should be in writing. The plurality of Judges in the formation of the opinion of the Chief Justice of India is emphasized as a check against the likelihood of arbitrariness or bias. In January 2013 the Supreme Court (Surz india Trust v. Union of India) rejected the plea for revising the 1993 Judgment and abolishing Collegium system citing technical reasons. According to CJI Justice Lodha collegium system is still the best if there is better scrutiny of candidates and more transparency is introduced. According to Justice Sathasivam “the present collegium system works well. Even if certain deficiencies are there, the same can be eliminated by adhering to time schedules. It cannot be claimed that the government (state and central) has no role in the appointment of judges and the setting up of National Judicial Commission will not solve the problem. On the other hand, if the time schedule is strictly followed by all the authorities and more consultations with the persons concerned are held, the present system will solve the problem”. Though the Government introduced a constitutional Amendment to introduce Article 124 A and Judicial Appointment Commission Bill 2013 to change the present system, Parliament could not pass the constitutional amendment bill in the last session.